Updates to Ralph Wayne's profile since your last visit are highlighted in yellow. Ralph Wayne Milam has a birthday today. Ralph Wayne Milam updated profile. View. 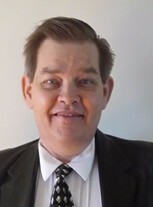 Ralph Wayne Milam changed "Now" picture. New comment added. Ralph Wayne Milam added a photo to profile gallery. New comment added. Ralph Wayne Milam added a photo to profile gallery. Ralph Wayne Milam posted a message. New comment added. Sorry for your loss. Won't be able to make the meeting on the 7th. Maybe we can get together some other time.